Ice and snow can weigh down your gutters, causing damage that can lead to roof leaks and other problems. Keeping your gutters clean and maintaining your gutters appropriately in the fall can help protect your gutters from ice and snow this winter. Leaves and twigs can block downspouts and cause water to backup in your gutters. When cold weather hits, this can leave standing ice and snow in your gutters. Cleaning your gutters is the best way to prevent problems during times of colder weather. On properties where trees are few and far in between, you’ll probably only have to clean your gutters once at the end of the fall. In wooded areas and on properties with numerous trees, you may need to clean your gutters multiple times per year. Make checking your gutters periodically part of your fall maintenance routine. Look to see whether or not there are leaves coating the inside, and watch your gutters when it rains to see if the rain overflows the gutters. If you see evidence that you gutters need to be cleaned, contact a gutter cleaning service in your area. Trees with overhanging branches are a big problem for your gutters, but trimming trees back can help. Overhanging branches can be a major contributor to clogged gutters. When the leaves fall from the branches, this can cause your gutters to become backed up. In some cases, overhanging branches can even damage your gutters by dropping smaller branches onto the house. Trimming overhanging branches can be delicate work because it can be very easy to accidentally drop branches on the gutters. Homeowners hoping to play it safe and avoid problems can hire a professional to trim their trees for them. Gutter problems can be hard to correct in winter when the cold weather has already set in. Caulking your gutters, replacing portions of the gutters and doing other repair work is more difficult when ice, snow and sleet become a problem. If your gutters need to be repaired or replaced, the best time to do so is in the fall before the bad weather begins. This way, if your gutters do need to be repaired, you can get this done before the bad weather arrives. Have any questions or concerns? Working with an experienced gutter professional this fall can help protect your gutters from ice and snow in the coming seasons. To make an appointment with your gutter professionals, contact us today at 614-989-3326. We can help prepare your gutters for winter. Is Gutter Guard Truly Worth the Buy? “Piggy-Backing”- meaning adding materials on bigger jobs to bring your cost down. Steer clear of any product made from plastic or vinyl components. They will break down over time and eventually fail. If you are in the market for gutter guard, our advice to you is to RESEARCH, RESEARCH, & RESEARCH! We want you to make an educated decision on your investment. If there is any questions you may have, just feel free to reach out to us. We are happy to help. Thank you for reading! Here at Professional Gutter & Drain we hear a lot of horror stories. We often get calls about gutters being in need of repair due to a lack of basic maintenance. We are always looking to serve our community here in Columbus Ohio. So we have a few common issues and how they occur. Broken soffitt and fascia boards are a very common problem that can occur from debris being built up in the gutters. Here in beautiful Columbus Ohio we have a lot of vegetation. Often times the build up of debris in the gutters can happen quickly due to this. When the gutter is full, and especially when it is holding water, the weight can cause the gutter to pull away from the fascia board. It is possible to have the gutter remain attached to the fascia and to have the fascia itself pull away from the rafter tails. Keep your gutters clean so there is not a strain on the gutter system! When the gutters fill up with water due to the flow being obstructed it can spill over the edges. Gutter hang from the fascia board. If left unchecked this build up can cause the water to seep into the fascia board and cause rot or swelling. In the even this happens the fascia will constantly allow gutters to sag and pull away very easily. Standing water due to debris build up obstructing the flow of water can create nesting areas for rodents, birds, and insects. While birds may be a welcome sight to your yard, they tend to build their nests over your downspouts with all the debris available to them. Mosquitoes of course love standing water and will quickly multiply around your home. Rodents will also be attracted to the clutter of debris and may find their way in through your rafter tails! Going Down The Drain, From The Gutters! The sun has finally come! Invigorating rays of sunshine are finally in abundance however, we are not the only ones excited about this. Warm weather is bringing all the plants that lost their green due to the cold back to life. The flowers are slowly opening, the grass is gleaming, and the roots from that lovely tree in your yard are starting to spread. Now is an opportune time to have your drain lines for your gutter checked! Life is always changing and challenging us so we must always do our best to stay ahead. Mother nature can be tricky to stay ahead of. She is very unpredictable and at times just plain makes no sense. What we can count on is roots seeking out sources of nutrition. You may not have had a problem last year with your drain from your gutter, or maybe even it was just small problem that wasn’t a big concern. As spring continues on the roots from all types of plants will be fighting for every drop of water they can get. Tree roots are especially problematic. Often they will enter your drain lines through force and clog them entirely. Fortunately we can remove these roots if caught early enough. If allowed to continue on for to long your drain from the gutters will be clogged beyond service and will need to be replaced. Either way here at Professional Gutter & Drain LTD we are standing by to assist our community. Things to keep an eye out for would be your riser overflowing or “geysering” during a rain event, water in the basement, and mulch or dirt wash out. Every time I cut a lemon I will always throw a slice down the garbage disposal. The strong citrus content easily destroys any odors lingering. However how do we get rid of the smell when the gunk wont go away? Do we have to just keep masking and overpowering the scent? I can’t fit anything down there to clean it either. Well fortunately the only thing you have to do to keep a clean drain is a simple science project. we are all familiar with the famous volcano science experiment, a little baking soda a little vinegar and presto. A big reaction. Nature has an answer for our cleaning needs! To summarize this, as I am sure majority of us know, when we combine the two chemicals we create a chemical reaction. The chemical reaction will release Co2 ( Carbon dioxide) in large quantities. Growing pressure from the released gas will clean drains easily. Say bye to the stubborn, and smelly, gunk sitting in your drain line. First thing we want to do is pour hot water down the drain. This will loosen and wash out some gunk and build up. Next we will want to add a half a cup of baking soda. Just go ahead and dump that down the drain you are trying to clean and let it sit for a minute. The baking soda will stick to the wet surfaces and gunk. Now that we know the baking soda wont be washed out it is time to add the vinegar! Add a cup of vinegar and a cup of hot water. Now please remember this is a chemical reaction that release a carbon dioxide. Open a window or ensure you have proper air flow so the carbon dioxide level does not build up. Better safe than sorry. If possible cover the drain, this will seal the pressure in the line making it more effective. Wait a few minutes for the chemical reaction to subside. Now simply rinse the line out with more hot water. What do you have? A clean drain. Unfortunately from time to time this will not be enough to solve the clog issues and you may need to contact your local plumber. Here at Professional Gutter & Drain we do not service drains inside the home, yet. As we continue to grow one day we hope to serve the community in this regard as well. As we look to the end of winter, if that’s what we are going to call it, we start to look forward to Spring. Flowers gracefully blooming, green crisp grass, and the aroma from the grills that always seem to be cooking. Spring certainly has a lot to offer us. As we eagerly anticipate our fun filled days ahead, a thought slowly dawns on us. Spring cleaning. Fun in the sun will just have to wait for the responsibilities of the real world to be fulfilled. Before you jump head first into mess that was once a basement, be sure to have an efficient strategy! Take a walk around the home and start taking some notes. Just be an observer, try to notice as much as you can and determine if it is a priority. 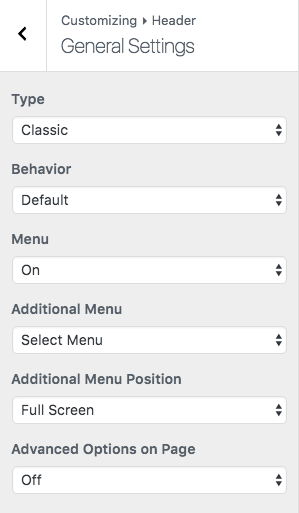 Once you have compiled a list, you can now organize it. This will avoid re-doing what you have already done. Eliminating unnecessary steps will eliminate time from the work so that it may be re-allocated for fun! Now, as your local experts on gutter and drain line systems, we would like to emphasize the importance of allotting some time to check these systems while performing home maintenance. April showers won’t be so gentle and kind if the water can not make it away from your home. 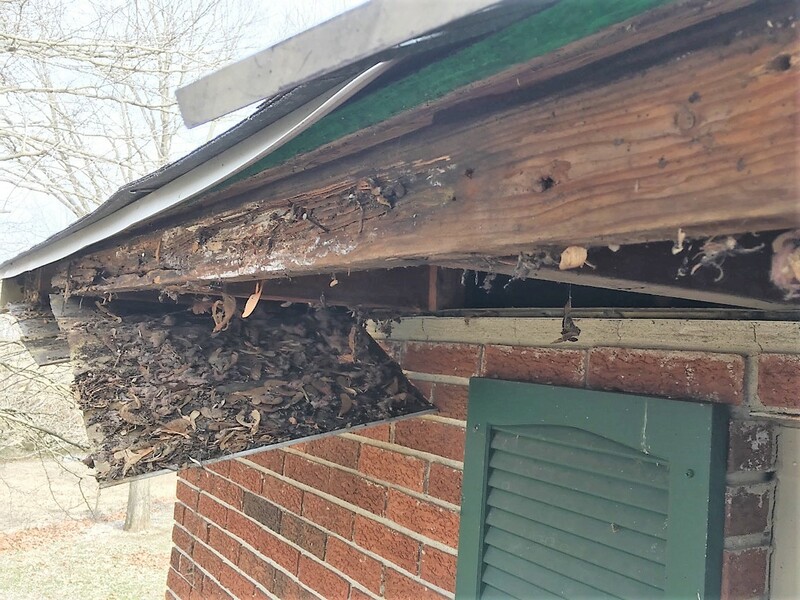 Gutters with debris build up or blockages can cause overflow down the side of the home, or even just waterfall over the front. Either way, your sump-pump is going to have to work harder to move this water away from the foundation. So please, take a quick look around. 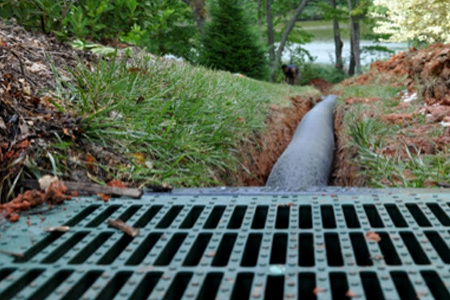 Drain lines should also be observed for blockages and functionality during home maintenance. If you notice a river running from your riser washing away that expensive landscaping, it is very possible your drains are not open. Water will build up in the lines and shoot out the only opening available. While we would all like a nice water feature, this geyser will certainly cause harm to your foundation. Lets not forget how the Grand Canyon came to be, water erosion.
. Professional Gutter and Drain LTD is always here to serve our community in its drainage needs. FirstEnergy currently has two nuclear power plants operating in Ohio providing resources around the state. Privately owned and looking for more profit to stay in business. Now they are claiming they aren’t making enough to stay in business. Proposing a “zero emissions credit” to help recoup the loss. This bill has been introduced in Illinois and is currently under fire. If you take a look it is not hard to see why. The “zero emissions credit” is not a new concept. Government subsidies are given to clean energy. This is to help them stay competitive in the market as to help advance the alternate fuel efforts. However is nuclear clean? 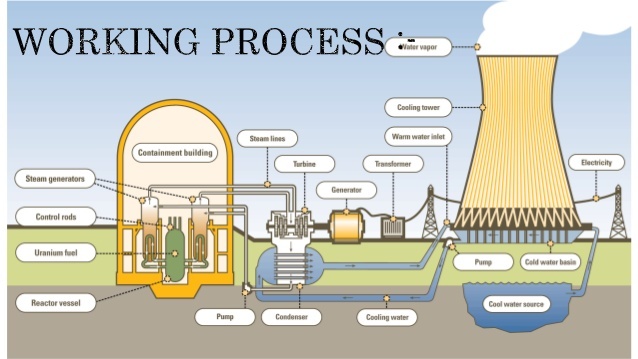 It doesn’t release CO2 however there will be toxic waste produced from the reactor. Why would we give this subsidy meant to further clean energy to one producing one of the most harmful waste byproducts we know of? The proposed bill could see an increase on your bill five percent and commercial bills by five to nine percent. Well what if you planed ahead? What if you have energy coming from another supplier? Well according to the proposed bill this won’t matter. It will be a mandatory amount owed based on your energy consumption regardless. Totaling an extra 300 million in revenue for the energy giant. Something that should be front page news, barely spoken of. However if we look into the companies reported finances we don’t see this deficit. So what is the real intent here? Is this team Ohio pulling together to secure their energy supply or, is a quick profit. Here at Professional Gutter and Drain we believe in transparency with our customers. We value your feedback and are proud to show you every step along the way. Collaboration has proven itself the best way forward, hopefully we can continue to do so without any laws restricting us! Innovation is continuing to be a staple for advancement in our modern society. We are seeing an increasing amount of everyday materials and spaces be better utilized for more efficiency and lower costs. Recently in Boulder, Colorado a team of researchers has developed a new material for keeping homes and buildings cooler in the summer. Hoping to see a reduction in energy consumption from air conditioning and other types of cooling systems. By utilizing a glass-polymer film to reflect solar energy into the atmosphere we can limit the heat that roofs absorb. This will allow solid surfaces to be cooled via infrared thermal radiation. The glass-polymer contains microspheres scattered throughout the polymer film and a silver undercoat to optimize spectral reflectance. Initial estimates indicate a 100 to 200 square foot home can be cooled during the summer months with this method. The implications don’t end there either. Research is continuing on in hopes of utilizing this material with solar panels and solar roofing tiles to help keep the solar system cooler. This will help the solar panels and solar roofing tiles to be more efficient. Despite their refractive properties the glass-polymer can potentially increase the efficiency by 2 percent. While this isn’t a huge gain it is certainly a step in the right direction. When it comes to gutters we never usually never pay them much attention, unless they start having physical defects that are visible of course. We have had more than one call stating ” the gutter is pulled away from the home”. Usually no one knows why. How can this happen? Well often times we find the gutter is secured to the home via the fascia board. The fascia board is the only barrier between your rafter tails and your attic. Using the support structure of the home the fascia board is secured in place. The gutter will then be secured to the fascia board. When the gutters pull away there are a couple of issues that it could be however, the most common issues are; the gutters have accumulated enough weight at some point to pull itself away or the fascia boards are bad. Without protection the fascia board can become rotted, swollen, or even just split apart. As the wood begins to deteriorate it will force the screws, spikes, or any object in the wood securing the gutter out. When this happens we see the gutter dip in spots or pull away all together. Your gutters potentially are fine in this case and the support system just needs some attention. Here at Professional Gutter and Drain we would always recommend checking the fascia board for fascia wrap ( an aluminum wrap that protect the wood from moisture) in order to minimize the repairs needed. Time will claim all but with a little insight and good timing you can stay ahead of the times!